This top is sure to make a statement at the party! 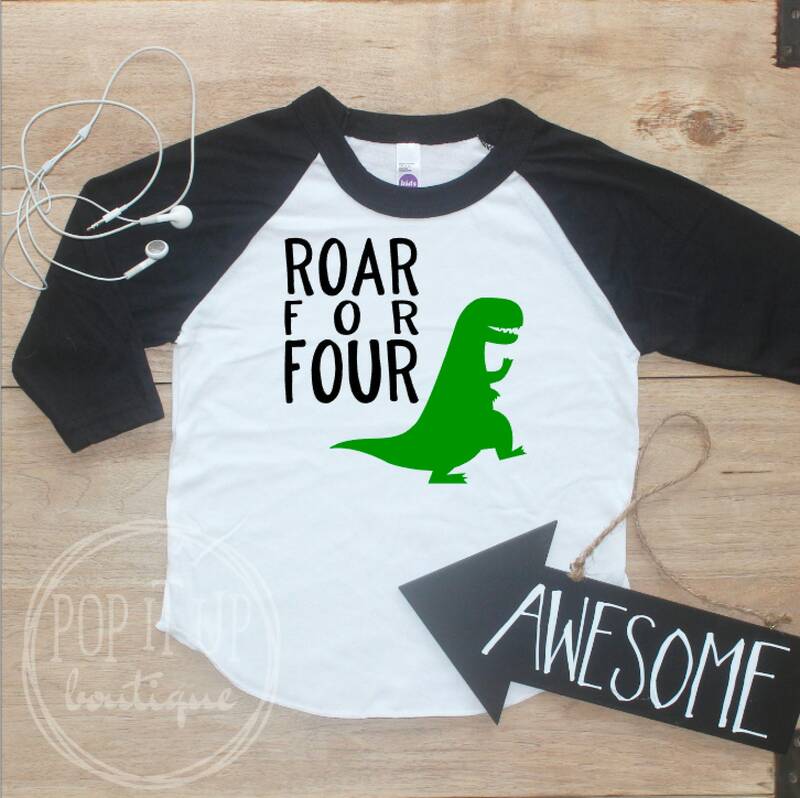 Featuring "Roar for Four" with a dinosaur, this shirt is perfect for your little one. You get your choice of a pink sleeved baseball raglan tee or a black sleeved raglan tee. Arrived on time, fit well, and my son LOVES it! He fought me on wearing it two days in a row! Ha.